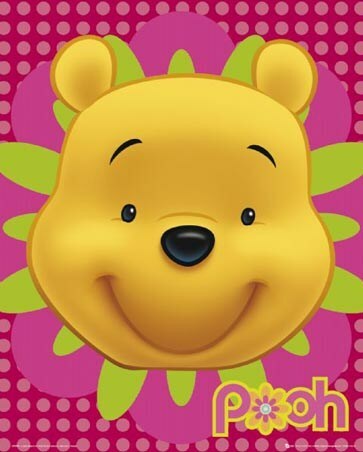 Official Disney Canvas: Holding tightly onto the soft, fluffy fur of Winnie the Pooh in this adorable canvas print is the new star of 'My Friends Tigger & Pooh', a young girl named 'Darby'. 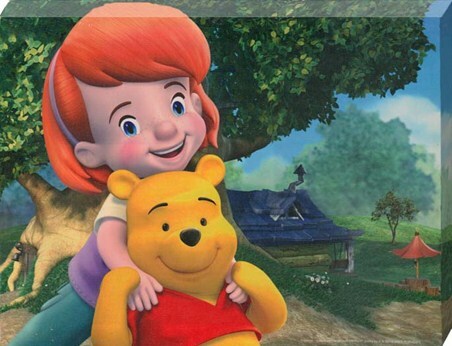 The computer animated television programme follows the adventures of Winnie the Pooh and his friends and includes two new characters, a 6 year old red-haired girl named Darby who is pictured here and her dog, Buster. 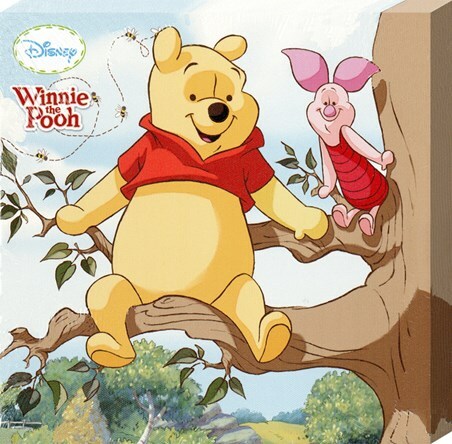 Christopher Robin still appears throughout the series but it is fair to say that Pooh has made a friend for life in Darby and judging by this adorable canvas, the two are happy as can be as they cuddle affectionately. Full of vibrant colour and beautiful animation, this enchanting canvas is sure to make a charming addition to any child's bedroom or nursery. High quality, framed Darby and Pooh, My Friends Tigger & Pooh canvas print with a bespoke frame by our custom framing service.